I'll admit I had a bit of a giggle over the title - Root to Leaf . It's a play on the idea of nose to tail cooking. But no one's advocating that you eat the inedible parts of plants. On first glance, I thought it might be a vegetarian book. But it's not. There certainly are vegetarian dishes, but there are also recipes that include meats. The deal is that the recipes celebrate the seasons and the seasonal fruits and vegetables that are available and at their peak during different times of the year. I've got quite a few books that talk about seasonality, but this is one of the few that completely embraces it, particularly in the winter when there aren't as many seasonal vegetables. Too many times, cookbooks ignore winter, while focusing on beautiful fresh spring produce, sunny summer fruits and vegetables, and the bounty of fall. But winter exists, and I'm in the midst of it. I was happy to see that the winter recipes included root vegetables, cabbage, mushrooms, carrots, and other things that actually taste good at this time of year. And the dishes are hearty, too, like braised oxtails, celery root puree. There's even instructions for fermenting cabbage into sauerkraut. 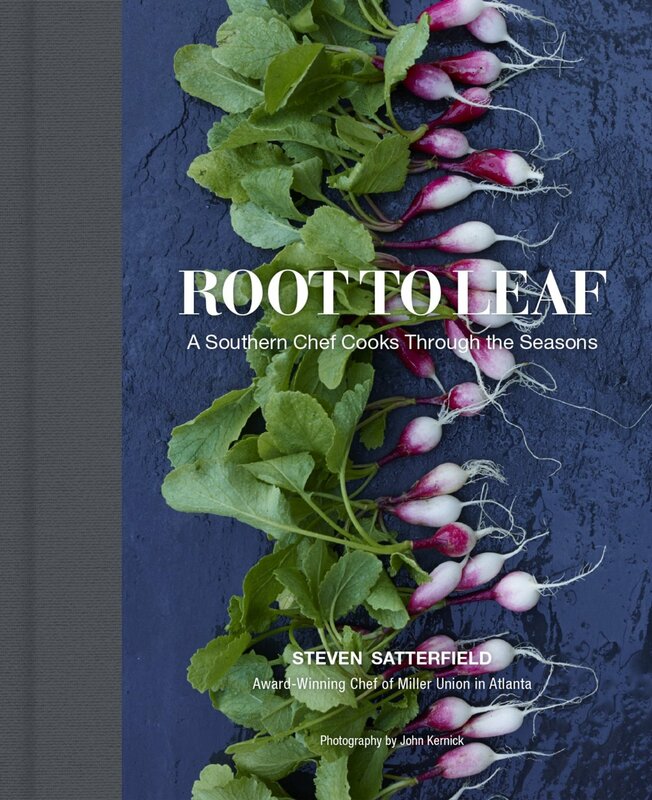 The book is organized by season first, and then by the fruit or vegetable being featured, so when you come home from the store with a couple bunches of beets, you can find a group of recipes for roasting, sauteing, or even making a cake with beets. Yes, cake. This book is more than main dishes and sides - there are desserts, drinks, salads, pickles, and savory baked goods, as well - everything you need. While these days we can get a huge variety of out-of-season produce in our grocery stores, I like that this book reminds us of what's really good during each season. I've got a whole bunch of spring recipes bookmarked in anticipation. Meanwhile, I'm actually enjoying the creativity of the winter recipes - I'll have one on Cookistry soon. Some recipes seem pretty simple, like a cantaloupe recipe with salt, lime and cayenne. It doesn't sound like much ... but have you thought of that particular combination? Other recipes are a little more complex, but still easy enough for most cooks. If you want to pay more attention to the seasonal cooking, this is a great resource. The recipes don't require much more than some fresh produce and a reasonably well-stocked pantry, so you won't find yourself ordering a dozen exotic ingredients online to make one dish. This is a book you can actually use every day. I'd definitely recommend this one, and I'm sure I'll be browsing through it at the beginning of every season and bookmarking even more recipes I want to make.